Citrix XenApp and XenDesktop are among the most performance sensitive applications in enterprise networks today. Even a small performance problem can result in loss of productivity and frustration for users. Proactive monitoring and rapid diagnosis of performance issues are critical to Citrix application and desktop virtualization success. Microsoft System Center Operations Manager (SCOM) provides visibility into the Microsoft Windows servers hosting the Citrix services, and other infrastructure services like Active Directory and profile servers. However, multiple management packs are required for monitoring the different Citrix tiers (XenApp, XenDesktop, XenServer, NetScaler, etc. 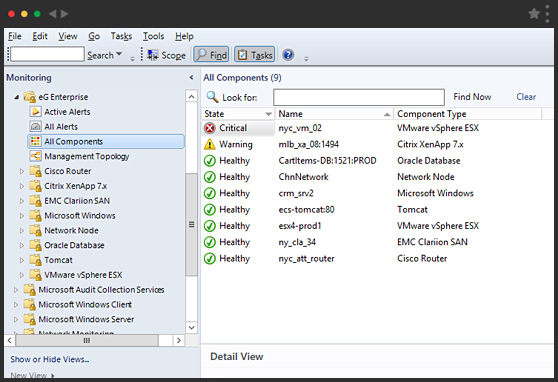 ), virtualization platform (VMware, Nutanix, etc. ), databases, storage and other non-Microsoft tiers. Citrix SCOM Management Pack for XenApp and XenDesktop (formerly Comtrade) is bundled with Citrix XenApp and XenDesktop Platinum edition with active Subscription Advantage (SA) or Software Maintenance (SWM). Organizations that have not deployed the Platinum edition cannot use this management pack unless they upgrade their installation to the Platinum edition. 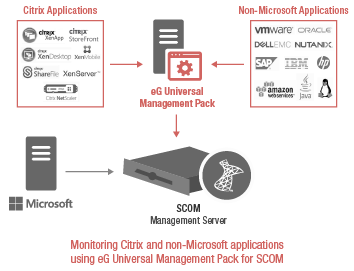 eG Universal Management Pack for SCOM, included with the eG Enterprise performance monitoring suite, augments Microsoft SCOM with the ability to monitor, alert and report on the Citrix tiers of the infrastructure. 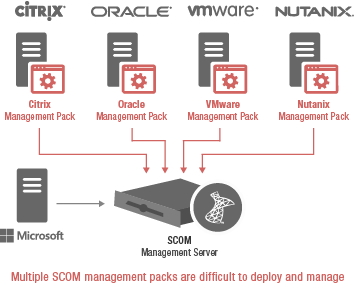 Organizations that have deployed Citrix XenApp and XenDesktop Advanced and Enterprise editions can use this Microsoft SCOM add-on to enable monitoring, diagnosis and reporting of the Citrix tiers from the Microsoft SCOM console. 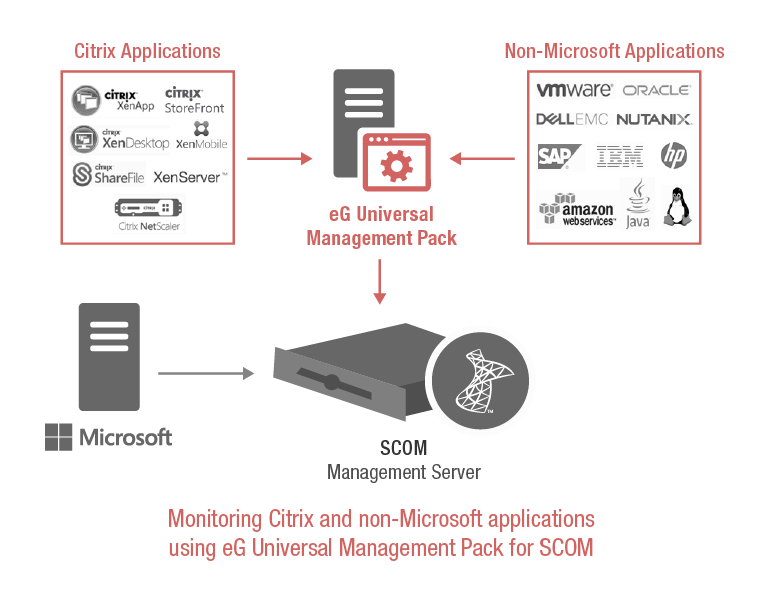 Why Choose the eG Universal Management Pack for Citrix Performance Monitoring? Developed from years of experience working with many of the largest deployments of Citrix technologies, eG Enterprise embeds the domain expertise to collect and report the most critical performance metrics from all the Citrix tiers (XenApp, XenDesktop, XenMobile, XenServer, NetScaler, StoreFront, Licensing Server, Provisioning Server, etc. ), and makes them available directly within the SCOM console. From the SCOM console, administrators can track whether Citrix logons are working well, end-user latency is within acceptable limits, any of the Citrix servers is having unusually high number of sessions, whether any application running on the server is causing a CPU/memory shortfall, and more. Investing in multiple vendor-specific management packs (such as one for Citrix, one for VMware, one for Oracle, etc.) exponentially increases the cost and complexity of managing and deploying individual management packs. Correlated Citrix performance alerts from eG Enterprise within the SCOM console enable you to focus on troubleshooting the root cause of problems. 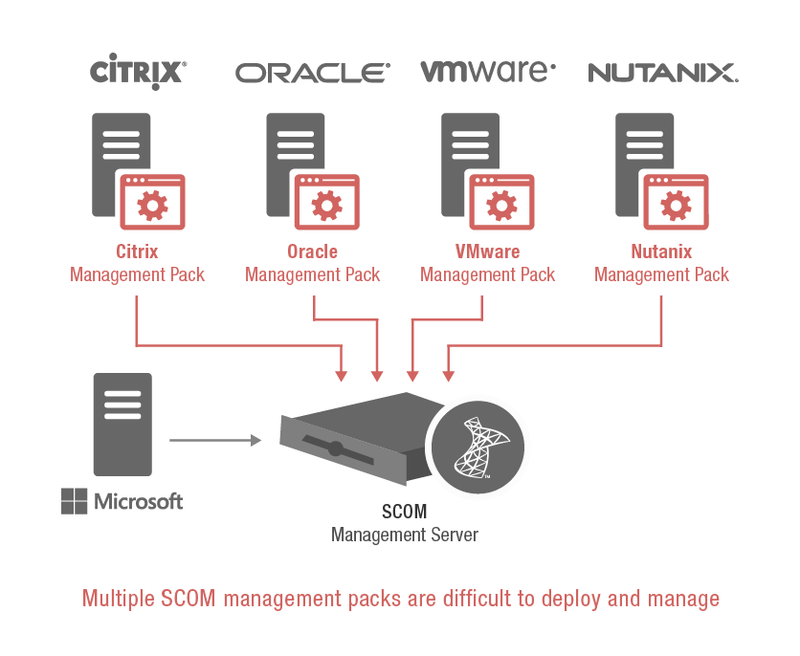 End-to-End Infrastructure Monitoring Enables SCOM to monitor the Citrix tiers of the infrastructure. However, to obtain an end-to-end view, additional management packs are necessary for the non-Citrix tiers (e.g., VMware, Oracle, Nutanix, storage, etc.). Single management pack that consolidates monitoring of heterogeneous infrastructures (Citrix and non-Citrix tiers) within SCOM. No need to invest in multiple management packs from different vendors. Citrix User Experience Monitoring Focused on exposing just the available Citrix metrics on the SCOM console. Does not offer any simulated user experience monitoring capability. 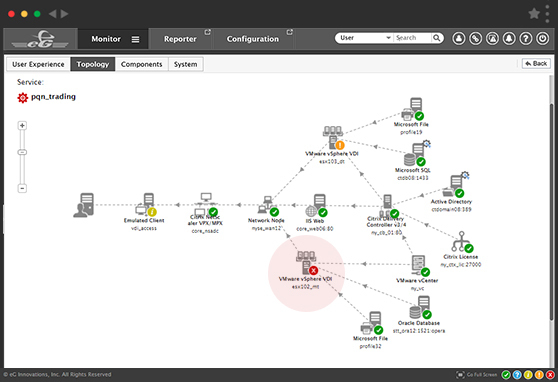 Provides real user experience monitoring and synthetic monitoring (includes logon simulation and full lifecycle simulation of a Citrix session). 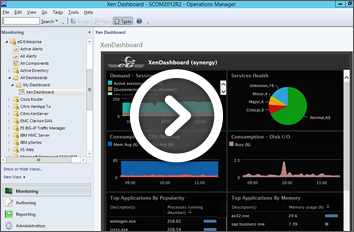 Built-in Correlation Intelligence and Root Cause Diagnosis Reports raw metrics in the SCOM console, relying on SCOM to perform any analysis of the metrics. Applies intelligent baselining, correlation and root cause diagnosis to the metrics before they are passed to SCOM. 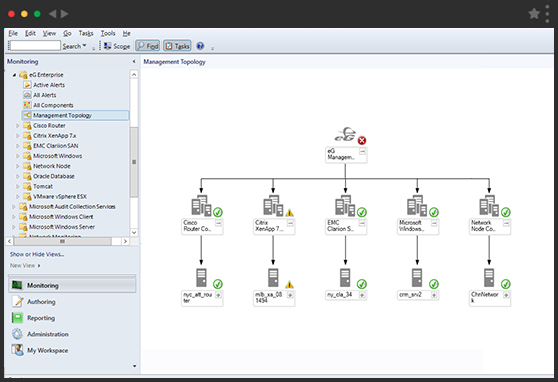 This allows for more reliable and trustworthy alerts in SCOM.